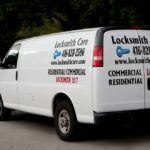 Locksmith Care » What security measures can a good qualified locksmith in Vaughan Ontario offer you? With the improvement of locking technology, the thieves have also become more experienced and educated about ways of illegal break in private and commercial properties. This requires you to update your locking system often if you have valuable assets and want to protect them from theft. A qualified locksmith in Vaughan Ontario can offer you a full range of security measures. Why not an access control system company? Many people are confused about who to turn to when they need protection measures for the home or business properties they inhabit and manage. 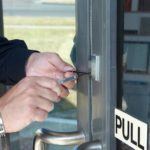 We usually think about the numerous companies offering access control systems, and we rarely assume that locksmiths (some of them) are the better option. The truth is that stores selling alarm and security systems as well as locking hardware with a high degree of security use for installation and maintenance a highly qualified specialist who is a graduate and accredited locksmith. The reason to choose a locksmith in Vaughan Ontario region is the ability to use his services at any time when you need them. What does a good professional offer you? First of all, the locksmith will visit you on the spot to look and find the critical points in your property. In addition to the front doors, it is often the ground floor windows. 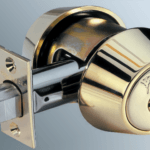 Many locksmith companies offer high-end locks for doors and windows. You will also get great automated garage door systems. Not only that. Unlike access control system company, locksmith can make key duplicates for the new security lock. This saves you the need to search and pay for two services at the same time. Locksmiths with experience and a solid list of professional services work with the latest generation of locking mechanisms. 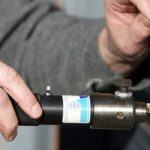 They have the license and the technical equipment needed to make key duplicates, including electronic ones for the more sophisticated systems that other companies do not own. They also have emergency teams ready to come to your address if you have difficulty unlocking your new locking system. Some locksmiths at Vaughan Ontario are also engaged in installing the latest access control systems and sometimes installing CCTV cameras and alert notification. You may find it strange, but the locksmithing today is more directly related to the protection from criminal acts than ever before. 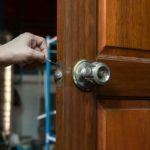 Why is it better to hire a local locksmith? If we have already convinced you that the locksmith is the better option for implementing an access control or other kind of protection against illegal penetration, then let’s take a look at the reason for choosing a local specialist or one that owns an affiliate in your area. First of all, by hiring a locksmith from Vaughan Ontario, you can easily check his professional accreditation. By hiring a company from the big city, it will be harder for you to make a survey of the quality of its services. It’s always safer to ask your neighbors and acquaintances instead of reading the reviews on the company site of the locksmith, which can also be fake.For the protection of you property trust only accredited and insured professionals, because there are even people with criminal intentions in this industry. Locksmith in Mississauga Ontario – what would make you look for him?